When Toyota drivers in Johnson City and Gray are looking for qualified auto mechanics to service their Toyotas, they trust H-Tek Auto Care to meet their expectations for superior service and auto repair. With more than 100 years of combined staff experience in auto repair, The Henley family extends Toyota’s invitation to “be a part of the family”. Eric and his father Don are proud to have built a team of ASE-Certified auto mechanics to help you maintain or repair your Toyota. 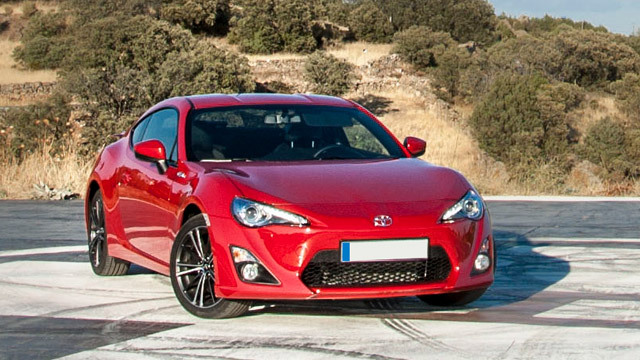 Let’s face it, Toyota’s reputation for longevity and reliability are above par. But, young or old, your Toyota requires regular, routine maintenance to keep up with that reputation. H-Tek Auto Care wants to make your auto repair or service a pleasant experience and we strive to consistently deliver the best in customer service to you and your family. Our auto mechanics are required to pursue continuing education and attend a minimum of 30 hours of training a year in order to remain on the cutting edge of automotive repair. From the Camry and Corolla to the 4Runner, Highlander and Tundra trucks, our team recognizes that your Toyota has the capacity to be on the road racking up the miles for years to come. Let us help you monitor your vehicle’s health with a thorough multi-point visual diagnostic report that will allow us to develop a schedule for your Toyota’s health check-ups. You can be assured that Eric and his team of auto mechanics have the insight and experience to keep you and your Toyota tackling tough terrain for years. We back all of our repairs with a nationwide 3-year, 36,000mile warranty because we want you to drive away feeling confident in the handling of your Toyota and we want to make you apart of the H-Tek Auto Care family. Servicing clients in Johnson City and Gray, we are proud of our five generation, auto mechanic lineage and when you utilize our shuttle service, chances are Don, Eric’s father, will be your driver. So, when your Toyota needs servicing or auto repair, come visit us at 5882 Bobby Hicks Hwy., Gray, TN 37615 or schedule an appointment online.